We deliver air/water heat pumps and geothermal heat pumps. A subsequent extension of you building services to using a heat pump is uncomplicated and quickly made. Heat pumps retreiving their energy heating your home from the nature are an innovative and future-proof heating system. Heat pumps by thermia convince throughout an outstanding annual efficiency rate and are therefore ideal for effectively reduce you heating costs. The combination of a photovoltaic system and a heat pump provide long-term ecological and economic benefits. We plan your optimal system concept. 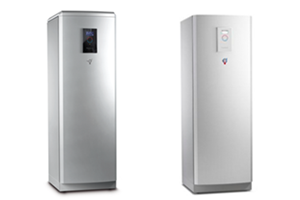 Thermia Atec sets a new standard for air/water heat pumps. 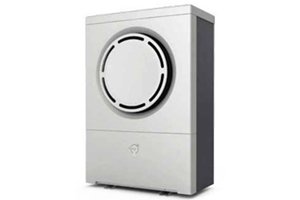 With a superior seasonal performance* Thermia Atec delivers maximal energy savings. By a unique acoustic design, it is developed to be the quietest on the market. The cooling function assures a pleasant indoor climate also during the hottest period of the year. Thermia Atec consists of one outdoor unit and an indoor unit to choose from three different varietes: Standard, Plus or Total. Up to 80% of the needed energy for the heating of your house can be made by environmental heat. By that you don’t just have CO2 savings as well as that you are independent of continually rising prices for fossil fuels in the form of gas and oil. 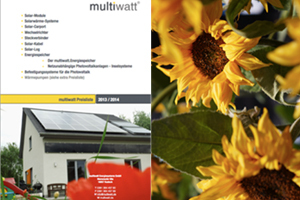 To get an overview of our complete range of products please write an email to info@muliwatt.de and we send you our actual products and prices.